Reviews of the Canon EOS 6D from around the web. In many ways the Canon EOS 6D is the Canon's first true enthusiast level full-frame digital camera. While the Canon EOS 5D Mark III and Canon EOS 1DX also have a full frame sensor, the Canon EOS 6D's design and handling is far closer to that of the APS-C format Canon EOS 60D. The Canon EOS 6D might sound like the dream ticket for full-frame DSLR aspirers. It's the first time that Canon's dipped its toe into the "budget" full-frame pond. But, to be realistic, its £1600 body-only asking price is still more the cash equivalent of a dive than a doggy-paddle. 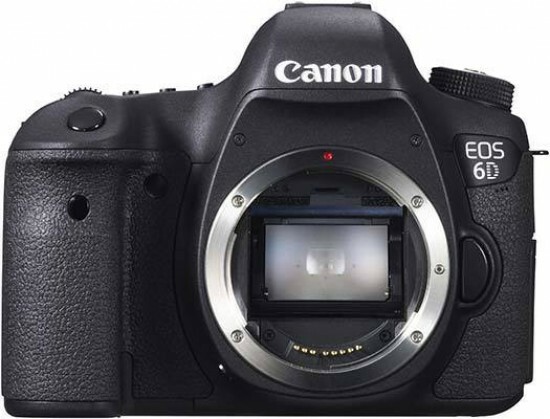 The Canon EOS 6D is the smallest and lightest full frame sensor format Canon DSLR camera ever (as of review time). The image quality benefits of Canon's full frame CMOS sensors are big, while the footprint of the 6D remains small - as does the relative impact on your wallet. The image quality the 6D delivers is impressive.